Layering is one of my favourite ways to creating interesting outfits. The striped blazer, on this look, balances out the lose fit of both the jeans, and the jumper. 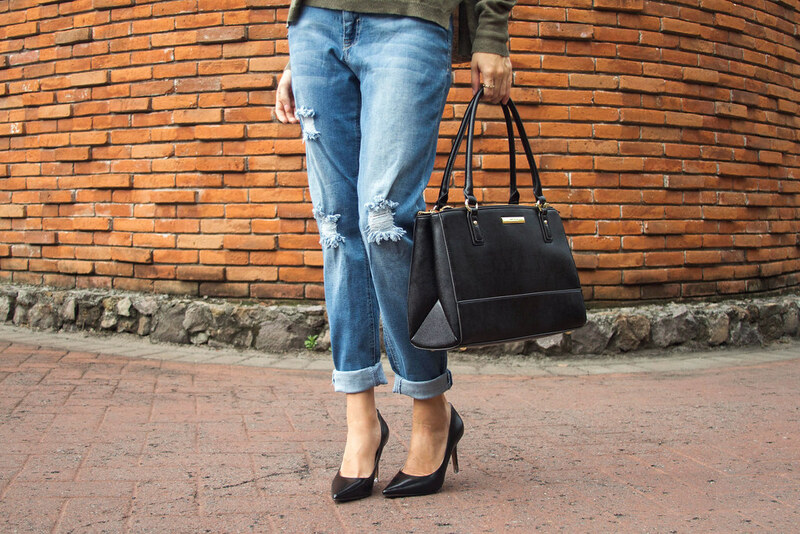 Adding a pair of stilettos, and a feminine handbag pulls the look together and makes it perfect for going from meetings to running errands. Me encanta recurrir al uso de capas para crear conjuntos interesantes. Este blazer a rayas logra balancear el talle holgado de los jeans y del suéter. Al añadir un bolso femenino y un par de tacones, el look se convierte en una opción acertada para asistir a reuniones y hacer mandados. I love them. So comfy.